Opening Lines: "Poppy set down one of the mermaid dolls close to the stretch of asphalt road that represented the Blackest Sea. They were old--bought from Goodwill--with big shiny heads, different-colored tails, and frizzy hair." What I Liked: Shameful admission time, but I haven't yet read The Spiderwick Chronicles by Holly Black and Tony diTerlizzi. So, I don't know how this stand-alone novel compares. What I do know is that I am spooked by dolls. (When I was young, I watched a movie that had a hideous doll that came to life. The famous line I remember was : "Rosa doesn't like you. She will punish you." Avid Googling has failed to turn up the name of this movie, so perhaps I was just possessed...) Thus, having a potentially haunted china doll causing all sorts of problems for Zach, Poppy, and Alice ratcheted the creep factor up nicely. And it is creepy. The effect, I believe, is a result of the narrative voice--Zach's POV, but quite distant, allowing the narrative voice to say things like: "He wasn't sure how much time had passed when he finally stopped crying. It was a beautiful day--crisp, the way early fall days can be warm but have an occasional chill wind. The sky overhead was as blue as spilled ink from a pen. Leaves shivered above him." The narrative voice overlays the character's senses, making such lyrical descriptions possible. Talking about descriptions--this is definitely one of Holly Black's strengths. She does a marvelous job portraying the dying heart of East Liverpool, and her passages about sailing make you feel like you own a boat yourself. The story also has to do with testing friendships, and with children being on the cusp of growing up--and realizing they're growing up. As Poppy says: "I hate that you're going to leave me behind. I hate that everyone calls it growing up, but it seems like dying. It feels like each of you is being possessed and I'm next." 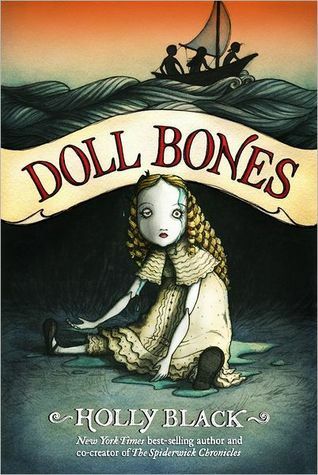 For kids that like creepiness in their stories, this one's a definite keeper! Follow Holly Black on Twitter! I have to start by saying that I follow David Lubar on both Facebook and Twitter and he is unfailingly witty and wise, as well as a veritable pun-meister. He is also very prolific! What It's About: Ten-year-old Nathan Abercrombie is having a really bad day. First, Shawna Lanchester, the prettiest girl in his class, doesn't invite him to her party. Then he gets picked last in gym class. Things couldn't get any worse... until he gest doused with an experimental serum that turns him into a half-dead zombie! Nathan soon discovers that being half-dead isn't all bad. He doesn't need any sleep, so he can stay up all night and play games online. He doesn't feel any pain, so there's no need to worry about Rodney the bully anymore. Still, Nathan would rather be human. Will he find a cure? Or will Nathan be half-dead forever? Opening Lines: "It's no fun having your heart ripped from your body, slammed to the floor, and stomped into a puddle of quivering red mush. It's even less fun when it happens three times in one afternoon." What I liked about it: The cover is an absolute winner. And the pacing never flags. By the end of chapter three, Nathan's already been doused by the Hurt-Be-Gone potion that will turn him into a zombie. And this version of a zombie is a winner: Nathan leads his school to victory by doing two hundred and thirty nine chin-ups, and then he shows what an amazing gamer he is (after all, zombies don't have to sleep, so Nathan can hone his gaming skills all night long.) It's a classic, rip-roaring middle grade novel that will have you in stitches--and rooting for the zombie. 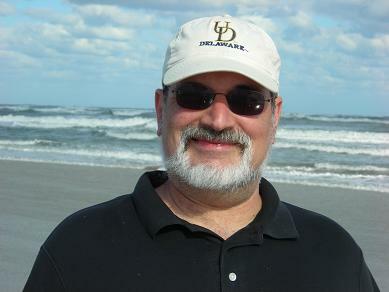 About the Author: David Lubar has written a ton of books, including several others in the Nathan Abercrombie series. He lives in Pennsylvania. You can find all sorts of information on his books, his life, and his views on humor at his website. I teased you yesterday about some big news--and now I'm finally able to reveal it. I will be a Cybils Middle Grade panelist/judge for the third straight year! For those of you who usually pay no heed to my ravings, the Cybils stands for Children's and Young Adult Bloggers' Literary Awards. 2013 marks the 8th year of the awards and, as usual, the Cybils are trying to honor books that combine literary merit with kid appeal. In other words, our winners are books like Origami Yoda, which is well-written and fun but isn't going to win the Newbery. In 2011 I was a first round panelist, which meant I had to read over a hundred books. Brain Death ensued. Last year, I decided that being a round two judge and having to read only seven books in five weeks was more my speed. Fortunately, I was chosen to be a round two judge for this year too. What I like most about the Cybils is the introduction it gives me to a huge crop of fun middle grade books, as well as an introduction to other book bloggers. We have great chats as we decide on our choices/winners, and so I'm always excited when the judging lists are published and I recognize old friends. This year, the first round for middle grade contains good pals like Deb A. Marshall, Jennifer Rumberger, and Jennifer Donovan. Our fearless leader (also a first round panelist) is the great Karen Yingling, whom I hold in the highest esteem. As yet, I don't know the other second rounders, but I can bet they'll all turn out to be super-duper. The one thing that links us all, from our different backgrounds and experiences, is our LOVE for children's literature. Opening Lines: "Miss Stunkel's art class is my All-Time Favorite. Don't get me wrong, the rest of fourth grade is all right, I guess. But for me, drawing is like wiggling my toes in the ocean. It just feels good." What It's About (from jacket copy): There are some things that Penelope Crumb knows for certain: Onions are the worst vegetable because they look like worms when they get all fried up. Miss Stunkel's Friday lizard pin is the best one of the week because it has rubies for eyes. And when a person is Graveyard Dead, they can never, ever come back back to life. Except... what if that person is your grandpa Felix? And what if you discover that you have his very same nose--one that happens to be EXTREMELY BIG? What I Liked: I defy anyone not to fall in love with Penelope Crumb. She is one spunky fourth-grader, with a voice and a world view all her own. She just knows her older brother has been turned into an alien and renamed Terrible (his real name is Terrence.) She also knows that looks have descriptions all their own and in capital letters, especially if they come from Mom ( Mom "gives me a face that says, You Probably Aren't Going to Like What I'm About to Tell You.") Best of all, she wears her "colossal" nose as a badge of pride. After all, it's a link to her grandfather who (for reasons never spelled out) has been ignoring the family ever since Penelope's dad died. Shawn K. Stout writes with appealing verve and with great insight into what it's like being a fourth-grade girl. I eagerly followed Penelope through the twists and turns of the narrative. The most delightful thing is that, throughout the novel, Penelope was the highly verbal engine of her own fate. I would highly recommend this novel [and hey, I've just found out there are sequels, (Penelope Crumb Never Forgets and Penelope Crumb Finds Her Luck) now both making their way to the top of my huge TBR list] to readers age 9-12. About the Author: Shawn K. Stout's other novels are about Fiona Finkelstein, (but have been recently retitled.) She received her MFA in Writing For Children and Young Adults from the Vermont College of Fine Arts, and lives with her family in Frederick, Maryland. She is represented by Sarah Davies of the Greenhouse Agency. Find out more about Shawn K. Stout on her website here! 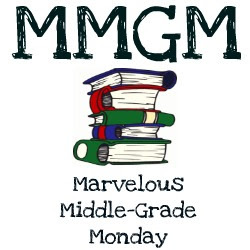 Finally, a big fat, happy September-back-to-school month from us at Middle Grade Mafioso. Lots more time for me and the Don to kibbitz and discuss media strategy now that the kiddos take the armor-plated limousine to school. I've got a whole bunch of book reviews I've been piling up, plus some exciting news to share tomorrow (though unfortunately not of the "I'm being published" kind, though we can but dream.) So pop on back on the morrow and find out my news. Thanks for reading!